An ex-con kidnaps a Christian couple in a bid to avenge his son's murder in this faith-based thriller starring Angus MacFayden and Haylie Duff. Years ago, Lucas Blackstone (Macfadyen) watched helplessly as his son was killed in cold blood. Years later, upon being released from prison, Lucas determines to see justice served at the business end of a .357. After kidnapping Shawn Everett (Bradley Dorsey) and his wife Carrie (Duff) from a campsite, Lucas instructs them to drive him to the town of Trinity so he may carry out the execution. Now as the trio drives to their grim destination, Lucas learns that Everett and Carrie have put their trust in their faith to save their broken marriage. Unmoved by their devotion, he threatens to take their lives if they try to stop him. Later, a shocking discovery about his intended target leaves the grieving father questioning everything he ever thought he knew. 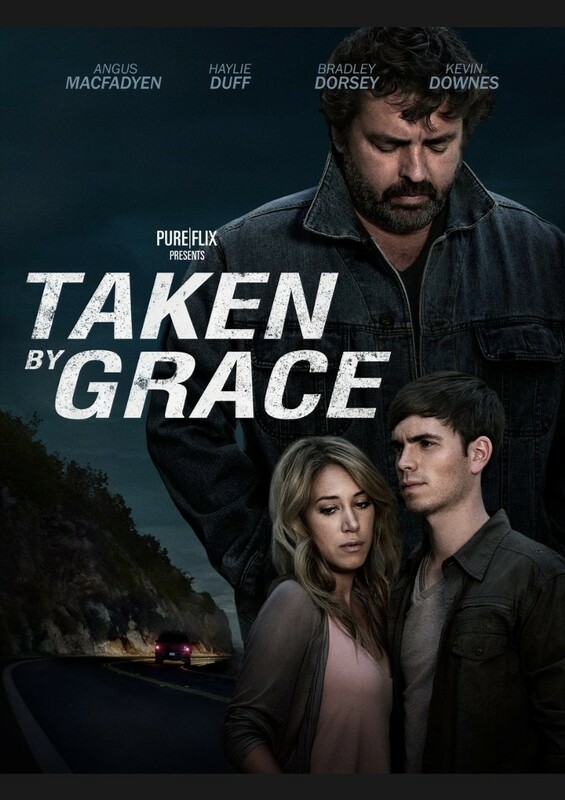 Taken by Grace DVD by Crossroad was published by Authentic in October 2015 and is our 12922nd best seller. The ISBN for Taken by Grace DVD is 9323078026033. Be the first to review Taken by Grace DVD! Take a peek at some articles related to Taken by Grace DVD. Got a question? No problem! Just click here to ask us about Taken by Grace DVD. We have a small Methodist Chapel with about 14 people can we show this for outreach purposes. A:You can show the film in Church, but it requires a licence. You can get more info about the Church Video Licence here: https://uk.ccli.com/copyright-licences/#cvl-pricing Thank you for using the Q&A Forum.